A bill intended to clean up language in state law related to the governing of cities was amended on general file March 20. LB873, introduced by the Urban Affairs Committee, would make a variety of clean-up changes including clarifying terms and eliminating antiquated and unnecessary language. 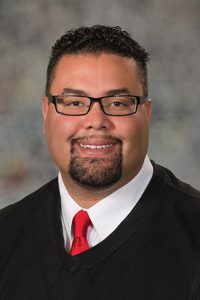 Omaha Sen. Justin Wayne, chairperson of the committee, said some state laws governing the management of the state’s cities and villages have not been updated since 1943, and some date back to the 1800s. “In 2014, the Urban Affairs Committee began a multi-year effort to update and modernize the statutes governing various classes of municipalities,” Wayne said. An amendment offered by Omaha Sen. Ernie Chambers to remove an outdated state symbol letterhead requirement for state agencies was approved 30-0. Sen. Adam Morfeld of Lincoln brought an amendment to add provisions of his LB756, adopted 25-1, which would prohibit municipalities from adopting or enforcing an ordinance or regulation that prohibits the use of a property as a short-term rental, unless necessary to protect public health and safety. Morfeld said that last year there were 46,000 short-term rentals—defined as a stay of not more than 30 consecutive days—in Nebraska, adding more than $4.3 million to the state’s economy. The amendment would authorize an online hosting platform to enter into an agreement with the state tax commissioner to collect and pay applicable sales taxes imposed under Nebraska law on behalf of short-term renters. As introduced, the amendment also would have limited the audit authority of the tax commissioner in regard to short-term rentals. After concerns were expressed by Columbus Sen. Paul Schumacher, that provision was considered separately and defeated on a vote of 3-25. Debate focused on the provisions related to expanding land bank authority statewide. Currently, only municipalities in Douglas and Sarpy counties are eligible under state law to create land banks, or tax-exempt political subdivisions that acquire, manage and develop vacant and tax-delinquent properties. Lincoln Sen. Mike Hilgers expressed concern that the Omaha-area pilot program has not been in place long enough to know whether it is a good idea for other parts of Nebraska. While the Omaha experience may be positive, he said, lawmakers should make sure proper safeguards are in place so that the authority of unelected board members to enter the commercial marketplace isn’t abused. Sen. Suzanne Geist of Lincoln agreed and offered an amendment to strike the land bank provisions from the bill. She said that she was hesitant to give taxing authority to another government entity. Wayne pointed out that land banks do not have taxing authority currently, nor would they gain it under the committee amendment. Land banks are formed to acquire delinquent properties that are not paying property taxes, rehabilitate them and return them to the tax rolls, he said. “No taxpayer is on the hook because [the land banks] have no taxing authority,” Wayne said. Quick said many communities across the state, including Grand Island, are struggling with vacant and problem properties and would like additional tools to address the issue.